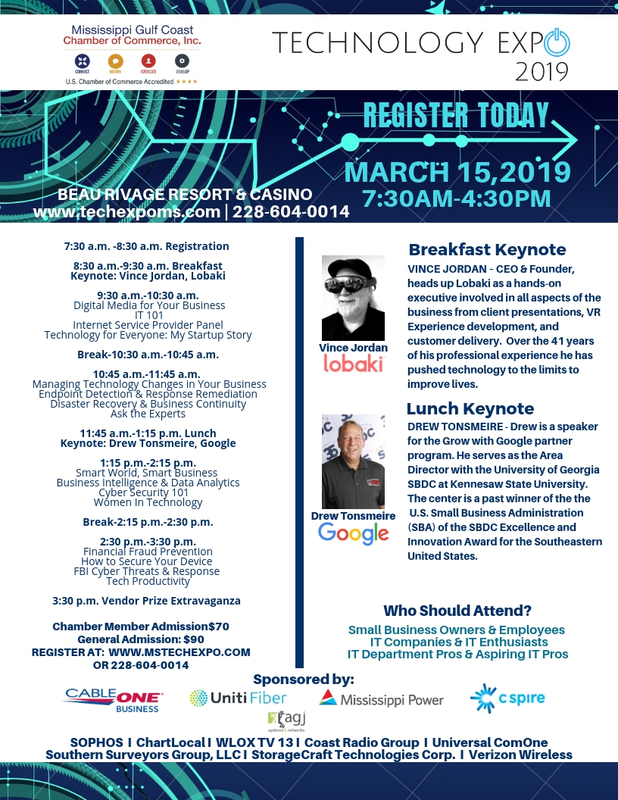 The second annual Mississippi Gulf Coast Chamber of Commerce Technology Expo was held on March 15, 2019, 7:30 am - 4:30 pm at the Beau Rivage. The event included breakfast and lunch with keynote speakers and breakout sessions that covered a variety of technology subjects related to business. After evaluating surveys that were positive we are making plans for next year.